Mrs. Carolyn Ruberto O’Hearn, age 83 , formerly of 46 Paul Ave., died Tuesday afternoon at her home 176 Columbus Ave. Berkshiretown Apts.. She was born in Pittsfield, Dec. 17, 1934, the daughter of the late Samuel E. Ruberto and the late Antoinette Candilore Surman and her husband Thomas R. Surman. Educated in the local schools, she was a 1952 graduate of Pittsfield High School. Carolyn was employed at the Berkshire Medical Center in the Patient Billing Dept. She retired in 1999 with over 20 years of service. A communicant of St. Joseph’s Church, she loved doing and making all types of arts and crafts. Carolyn enjoyed being with her family and friends and especially with her two grandchildren. She traveled extensively with her late husband, Bob and later, upon his death, she enjoyed traveling with her friends. Carolyn enjoyed raising and tending to her Bischon Frise dog, “Max” for many years. She and her husband Robert T. O’Hearn were married May 13, 1961. Bob died Jan. 30, 1998. She is survived by her son, Timothy P. O’Hearn of Adams, and his two children, Patrick O’Hearn and Samantha O’Hearn, both of Adams. She is also survived by her sister in law, Mrs. Margaret “Peggy” Donovan of Pittsfield and her friend Mrs. Mary Rizzardi of Pittsfield. Her other son, Robert J. O’Hearn, died June 23, 1980. She also lost her good friend, Connie Kelley, who died Nov. 23, 2004. 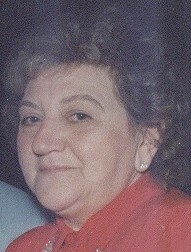 SERVICES: O’Hearn, Carolyn Ruberto, age 83, of Pittsfield, died July 10th. The family will receive friends SUNDAY, July 15th from 2 to 4 pm at the DEVANNY-CONDRON FUNERAL HOME. Funeral services will be held MONDAY morning at 8:15 from the funeral home followed with a Liturgy of Christian Burial at 9:00 am at St. Joseph’s Church with the Rev. Michael A. Shershanovich, pastor officiating. Burial will follow in St. Joseph’s Cemetery in the family lot. In lieu of flowers, memorial donations may be made to the Eleanor Sonsini Animal Shelter in care of the funeral home.